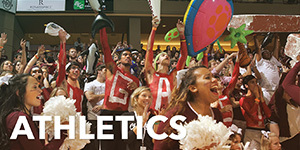 In the Honors College, we have a number of special programs designed to meet the unique needs of students who have specific academic and professional goals in mind. While several of these cohorts and programs were established previously, the 2018-2019 academic year is the first time where all entering Honors College freshmen were provided an opportunity to join a mentoring cohort. Below are descriptions of the mentoring cohorts currently offered by the Honors College. Each mentoring cohort has unique opportunities associated with it. 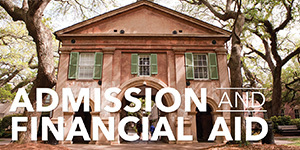 All are designed to encourage students to explore their academic interests, to form important relationships with College of Charleston faculty and staff, and to lay a foundation for professional and leadership skill development. To read more about mentoring cohorts, check out this article on our 10 Green Way blog. Students within this four-year cohort intend to pursue a career in scientific research, science advocacy or applied health (e.g. medicine, dentistry, public health). Discovery Science students are provided with programming in the form of networking, intellectual engagement, and professional development events geared towards their specific scientific interests. 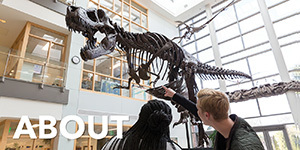 They are introduced to faculty across the sciences and connected to unique research opportunities early in their time on campus. The E-LLC is a one-year interdisciplinary cohort designed to act as an accelerator for Honors freshmen seeking to make an impact in their community and the world. Much like entrepreneurs featured in TED Talks, members of this cohort are encouraged to begin thinking of how they can tell their own story of innovation throughout their first-year experience. Students in this cohort are required to live in the E-LLC in Berry Residence Hall for their entire first year. They are also required to take HONS Entrepreneurship Theory and Practice in the first semester of their freshman year. They are introduced to leaders and mentors on campus and in the community who are entrepreneurs. Through collaboration between the Honors College and the Division of Student Affairs, students in this mentoring cohort will be nurtured for leadership on campus and in the community, starting in their first year on campus. 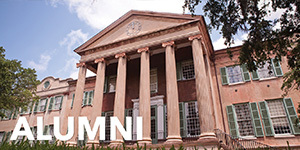 Through various “tracks”, students will be introduced to the faculty and staff on campus who are developing and implementing programs and projects that address critical needs on campus and in the community and will have the opportunity to network with senior administration at the College of Charleston. Facilitated by Executive Vice President for Students Affairs, Dr. Alicia Caudill, this cohort of women will meet monthly to discuss leadership development, to determine leadership styles and strengths, and to learn from leaders in the nonprofit and business community. Facilitated by the Office of Student Life, this cohort will work on the opening, marketing, and management of the food pantry on campus for students facing food insecurity. Through monthly meetings with the Director and Assistant Director of Student Life, the group will discuss new initiatives to address food insecurity on campus and in the community. This cohort will also work with the Center for Civic Engagement to plan components of Hunger and Homelessness week. Facilitated by the Director of Student Life, students in this cohort will complete a self-assessment and will engage in a selected campus experience. During the second semester, students will be given priority consideration for several leadership opportunities on campus – Stern Center Advisory Board, Cougar Activities Board, Weeks of Welcome planning team. 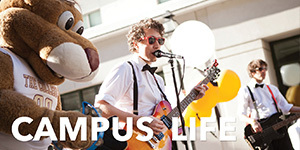 Students will meet monthly with the Director of Student Life and will create an e-portfolio to document their involvement on campus. Facilitated by the Department of Residence Life in collaboration with the Honors College Director of Student Engagement, members of this cohort will meet regularly as a sub-committee of the Residence Hall Association. They will also serve on the Honors College Leadership Council. This sub-committee will design and implement programming and other initiatives to enhance the living experience for Honors College students. Members of this cohort will receive mentorship in leadership development and will have access to leadership conferences and career development workshops. Facilitated by staff in the Higdon Student Leadership Center, this cohort will participate in a special section of the leadership certificate program, which includes attendance at two leadership conferences, access to CofC leadership development programs, and priority consideration for various leadership positions campuswide (e.g., Dance Marathon Executive Board, Orientation Intern, Alternative Break leader, peer facilitator). They will be given priority consideration for Cougar Excursion in the freshman year, the Honors College leadership course taught by former CofC President Lee Higdon during sophomore year, a spot in the Leadershape Institute during junior year, and a guaranteed interview for the Leadership CofC Program in the senior year. This four-year cohort is designed for students with an interest in one of the majors in the School of Business. Students are recommended for elite opportunities within the School of Business and have additional opportunities to study abroad and network with faculty and business professionals. They are also given priority placement in honors business courses. Under the direction of the Honors College and the School of Languages, Culture, and World Affairs, this four-year program combines the rigorous and challenging academic experience of honors study with a BA in International Studies, Spanish, or Jewish Studies (one of these majors is required) and a second major in an area of the student’s choices. Members of this cohort take HONS 173: International Studies during the fall semester of their year on campus, participate in a May Away program at the end of the freshman year and work with professional mentors. The program prepares students not only to be globally aware but also globally active as they enter the 21st century as leaders of the emerging international community. Students within this four-year cohort intend to pursue a career in medicine or in scientific research but also have a keen interest in the humanities and social sciences. 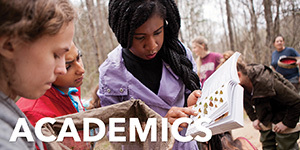 Medical Humanities students are provided with additional programming geared towards their specific interests and unique funding opportunities for summer research and receive a well-rounded academic experience that sets them apart. After their college career, students in this cohort will be thoroughly equipped to apply for graduate programs, nationally competitive awards, and careers in the medical and science fields.